바르셀로나, 스페인의 펜션 시우다델라 | 호스텔월드에서 예약하세요. 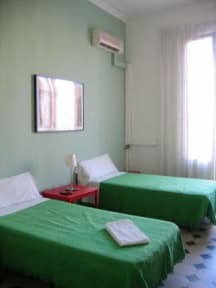 Pension Ciudadela is a simple, little, 1-star guest house with a great location right in front of the Ciutadella Park, the largest green area in Barcelona. This location not only offers yout the chance to relax and enjoy a beautifully landscaped park, it is also ideally situated for visiting the city's main places of interest. The Born neighbourhood, for example, is only 200 metres away and is home to the famous Santa Maria Del Mar Cathedral and the Picasso Museum which is housed in one of the Gothic palaces on Montcada Street. The Port Vell maritime area, Barcelona's Aquarium and the Barceloneta beaches are also nearby. This guest house has spacious rooms with air conditioning and televisions. There are single, double or triple rooms available, some with private bathrooms and others with shared ones. Pension Ciudadela has a friendly, relaxed atmosphere and the friendly reception staff are available to help you 24 hours a day. 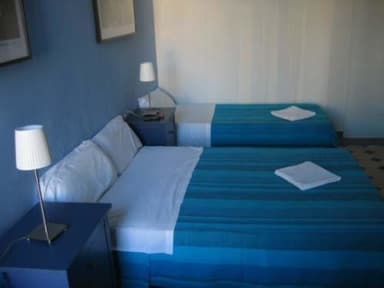 A cheap and friendly guest house next to Barcelona's most beautiful park!